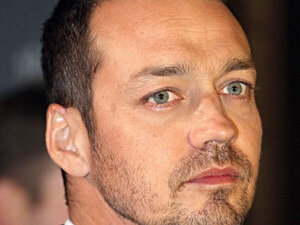 Click here to download photo of the Rupert Sanders. 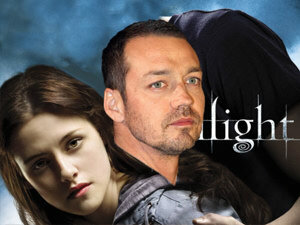 Rupert Sanders directed the movie Snowhite and the Huntsman featuring Kristen Stewart as the Snowhite. 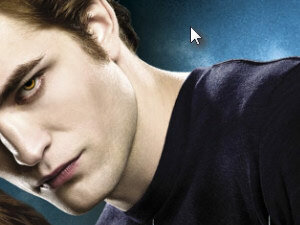 You can of course use a photo of any other person you want to add to the Twilight poster instead of Robert Pattinson. 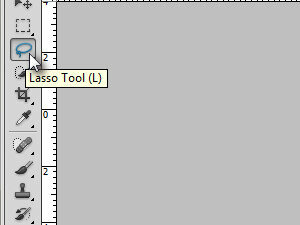 Choose the Lasso Tool (L for a keyboard shortcut). Select the face click Edit and choose Copy. 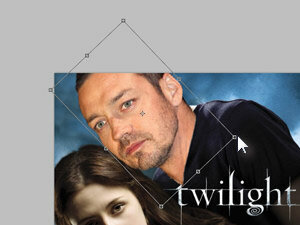 You can also try and select the face with the Quick Selection Tool, click here for the tutorial. 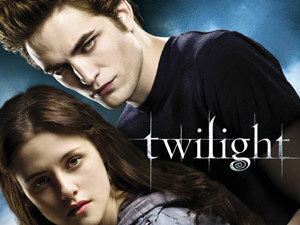 Click here to download the Twilight movie poster featuring Kristen Stewart and Robert Pattinson. 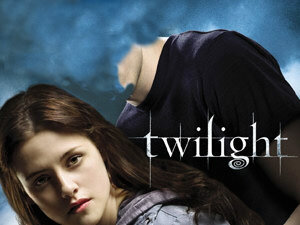 First thing's first, let remove Robert's head. Choose the Clone Stamp Tool (bližnjica je tipka S). ... release the Alt key and start clicking/cloning over the head in order to make it disappear. 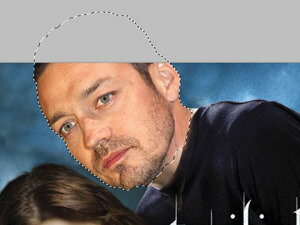 Keep clicking or dragging your mouse to erase the whole head. You might also want to repeat the step 6 a couple of times to select a new clone source if it starts cloning the things you don't want. 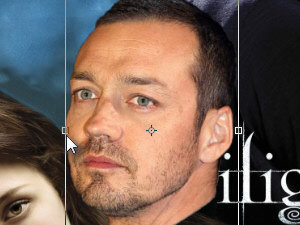 Let's now paste the previously copied head of Rupert Sanders and make some adjustment for the perfect fit. In the menu click Edit and choose Paste. Press Ctrl + T, to enter layer transformation mode, click and hold the right edge of the selection and drag it the left side to flip the layer horizontally. Don't confirm the changes just yet. 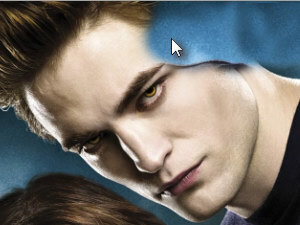 Rotate the head layer a bit so it fits the Robert's body. Press Enter to confirm the changes. Choose the Eraser Tool (E for a keyboard shortcut). Right click the document and choose the same or similar settings as I did. 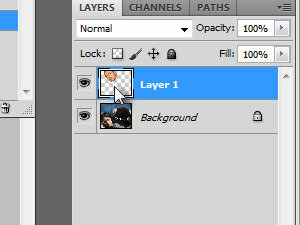 Press the 3 key, to set the opacity of the eraser tool to 30%. 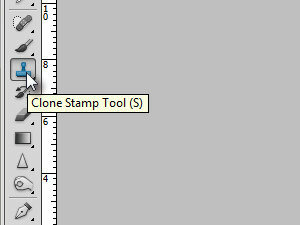 You can set the eraser opacity in the toolbar above as well. Now start erasing the redundant parts around the neck and any other parts that are sticking out. 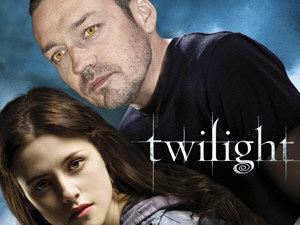 We need to add some Vampire features like, pale tan and scary eyes to Rupert's face. 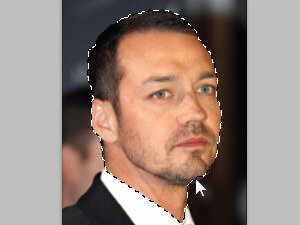 Hold the Ctrl key and click the thumb picture of the head layer (see picture). Selection around the head should now be visible. 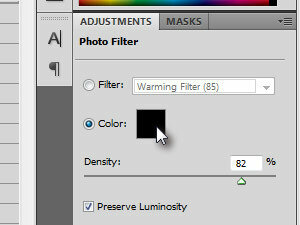 In the Adjustments window set the black Color and Density to about 80 % (see picture). 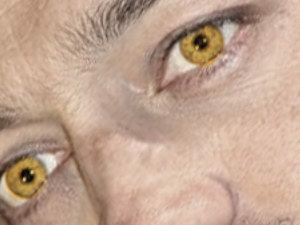 And to add some vampire eyes. 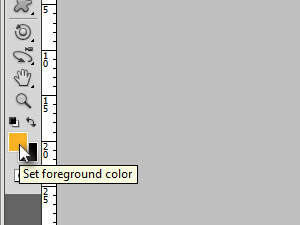 Set an orange color as a foreground color (see picture). 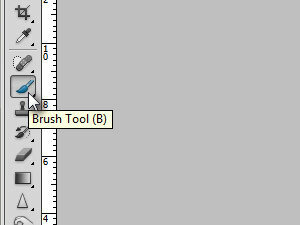 Choose the Brush Tool (B for a keyboard shorcut). Brush Size should be the same size as the eyes. 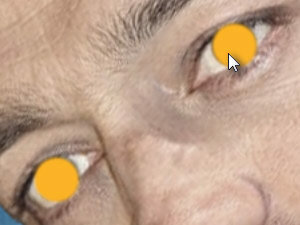 Click the eyes to paint them orange (see picture). 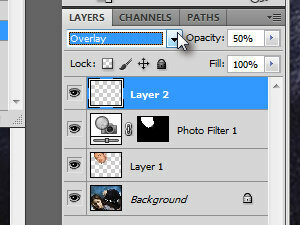 Choose Overlay as a new eyes layer blending mode and set the Opacity to about 50% (see picture). 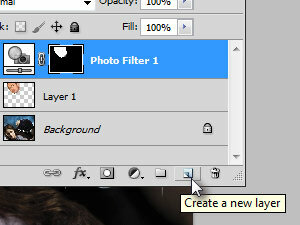 Instead of Overlay you can also try the Color blending option. And the orange color will blend in with the eyes on the underlying head layer. You can choose the eraser tool and erase the orange color around the eyes.